Our CDI Educational Institute offers a series of Psychrometrics and Desiccant webinars plus a smorgasbord of food-related webinars as well as a webinar on Surgical Suites. 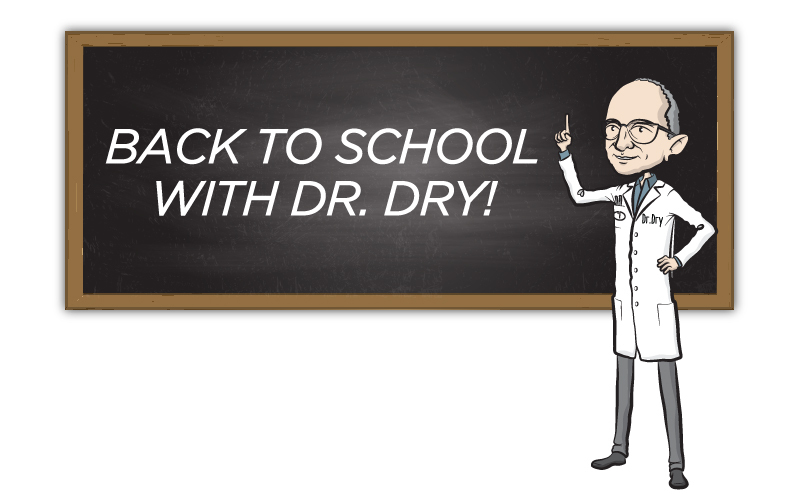 Presented by Dr. Dry (A.K.A. Tom Peterson, CEO/Founder of Climate by Design International), they are full of facts, formulas, examples, data and graphics. We use dry wit where possible, because after all, we are the dry guys! Get refreshed on Psychrometrics, like a tall cold drink of water. This webinar is for those that have had formal training in Psychrometrics, at some time in their careers, but it's time to cut through the fog and get the basics of how it is used in determination of moisture solutions. This is a pre-requisite for all future webinars. Without an understanding of vapor pressure, dewpoint, and grains of moisture, future webinars will be cloudy at best. You may already be using active desiccants, but how do they really work? Industry "rules of thumb" may be coursing through your veins, but what are they based on? Learn how active desiccants adsorb and desorb moisture, factors that affect performance, and industry leading energy saving possibilities. Looking for another viable option to keep the air that circulates through your production areas clean, dry, and properly conditioned? Born from a King, CDI’s Critical Process Rooftop series is sized and configured so you stay in control. Any room or ambient conditions can be addressed by the CPRT’s versatility, while having the capability for full wash-down. 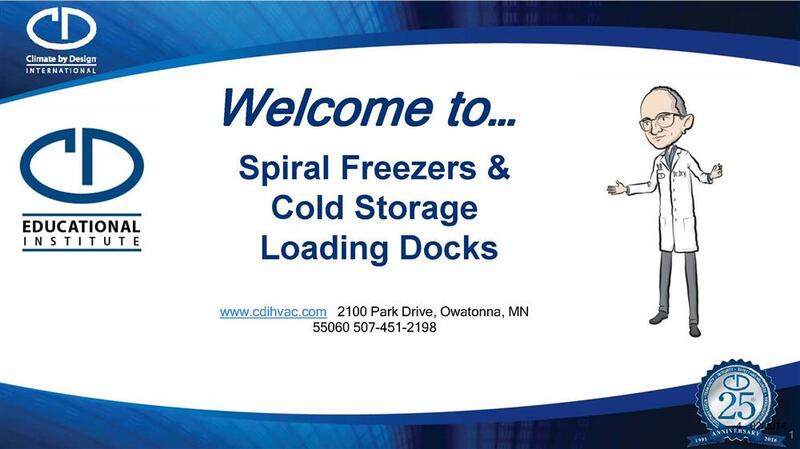 Get to the root cause of the symptoms in your cold storage facility. Understand the solutions and benefits provided by CDI desiccant technology. Review the challenges of spiral freezers. See how applying a cost effective Dry Climate system can make all the difference you need. Upon successful completion of each live webinar, a certificate of attendance for 1 hour will be awarded upon request. It is up to each individual to verify whether the course is approved by their state licensing board. Tom is a native Minnesotan, born and raised in Owatonna to a farming family. He attended the University of Wisconsin - Stout where he studied Industrial Technology. Tom has served on the Owatonna Business Incubator Board, Minnesota Technology, Inc. Board of Directors and is currently serving on the Engineering Board of Oral Roberts University. 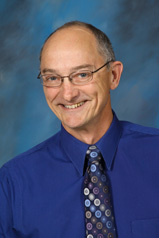 Tom has more than 30 years of experience in the HVAC industry. In 1989, Tom and his wife Sue started Concepts and Designs (CAD) in their home as a Computer Aided Drafting company. In 1991, the business was incorporated as Concepts and Designs, Inc. (CDI). In 2016, CDI changed their corporate name to Climate by Design International. Climate by Design International (CDI), formerly Concepts and Designs, Inc., creates the climate you need to achieve your critical mission. CDI designs and manufactures desiccant dehumidifiers and critical process air handlers for a wide array of applications including: ice arenas, hospital surgical suites, and food processing facilities. It is our mission to provide you with high quality, energy efficient products, while striving for the correct application to meet your needs. Keep it dry with CDI! Copyright © 2019 Climate by Design Web Store. All rights reserved.